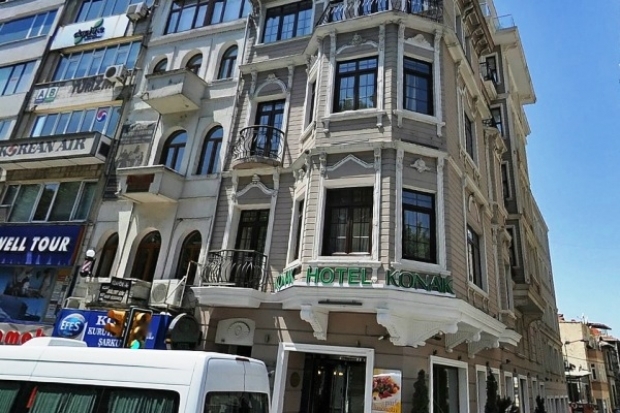 When would you like to stay at Konak Hotel Taksim - Check Availability & Room Rates!!! Konak Hotel Taksim offers its guests who want to feel the spirit of comfort and Konak Hotel's location is just few meters from Taxim square, the heart of Istanbul, where you will find restaurants, bars, museums, historical sites, shopping streets and business centers. Konak Hotel Taksim has 117 air conditioned rooms with 234 bed capacity and offers the functionality and comfort combined. How far and How long will it take from/to the Konak Hotel Taksim from/to International Airports and cruise Ports.